Note: Each database management system (DBMS) has different methods for logging in to the database and entering SQL commands. The WHERE clause is used to specify that only certain rows of the table are displayed, based on the criteria described in that WHERE clause. This displays the ID Numbers of all Managers. The AND operator joins two or more conditions, and displays a row only if that row’s data satisfies ALL conditions listed (i.e. all conditions hold true). The OR operator joins two or more conditions, but returns a row if ANY of the conditions listed hold true. An easier method of using compound conditions uses IN or BETWEEN. The percent sign (%) is used to represent any possible character (number, letter, or punctuation) or set of characters that might appear after the “S”. To find those people with LastName’s ending in “S”, use ‘%S’, or if you wanted the “S” in the middle of the word, try ‘%S%’. The ‘%’ can be used for any characters in the same position relative to the given characters. 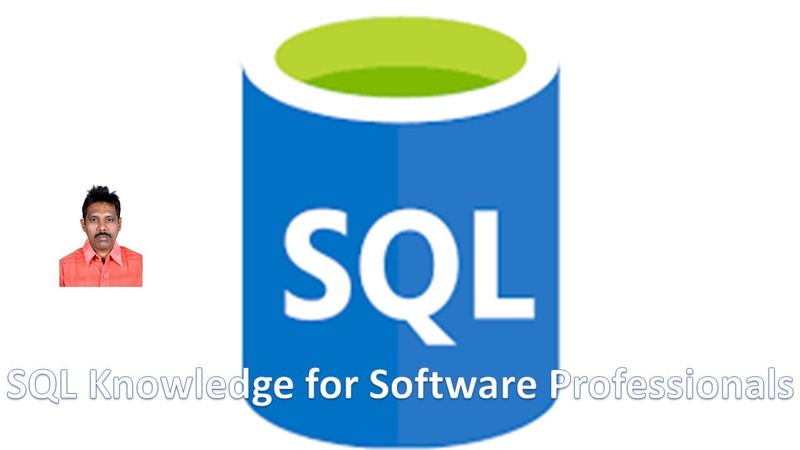 Good database design suggests that each table lists data only about a singleentity, and detailed information can be obtained in a relational database, by using additional tables, and by using a join. First, let’s discuss the concept of keys. A primary key is a column or set of columns that uniquely identifies the rest of the data in any given row. For example, in the AntiqueOwners table, the OwnerID column uniquely identifies that row. This means two things: no two rows can have the same OwnerID, and, even if two owners have the same first and last names, the OwnerID column ensures that the two owners will not be confused with each other, because the unique OwnerID column will be used throughout the database to track the owners, rather than the names. A foreign key is a column in a table where that column is a primary key of another table, which means that any data in a foreign key column must have corresponding data in the other table where that column is the primary key. In DBMS-speak, this correspondence is known as referential integrity. For example, in the Antiques table, both the BuyerID and SellerID are foreign keys to the primary key of the AntiqueOwners table (OwnerID; for purposes of argument, one has to be an Antique Owner before one can buy or sell any items), as, in both tables, the ID rows are used to identify the owners or buyers and sellers, and that the OwnerID is the primary key of the AntiqueOwners table. In other words, all of this “ID” data is used to refer to the owners, buyers, or sellers of antiques, themselves, without having to use the actual names. The purpose of these keys is so that data can be related across tables, without having to repeat data in every table–this is the power of relational databases. For example, you can find the names of those who bought a chair without having to list the full name of the buyer in the Antiques table…you can get the name by relating those who bought a chair with the names in the AntiqueOwners table through the use of the OwnerID, which relates the data in the two tables. Note the following about this query…notice that both tables involved in the relation are listed in the FROM clause of the statement. In the WHERE clause, first notice that the ITEM = ‘Chair’ part restricts the listing to those who have bought (and in this example, thereby own) a chair. Secondly, notice how the ID columns are related from one table to the next by use of the BUYERID = OWNERID clause. Only where ID’s match across tables and the item purchased is a chair (because of the AND), will the names from the AntiqueOwners table be listed. Because the joining condition used an equal sign, this join is called an equijoin. The result of this query is two names: Smith, Bob & Fowler, Sam. As the column names are different in each table, however, this wasn’t necessary. Let’s say that you want to list the ID and names of only those people who have sold an antique. Obviously, you want a list where each seller is only listed once–you don’t want to know how many antiques a person sold, just the fact that this person sold one (for counts, see the Aggregate Function section below). This means that you will need to tell SQL to eliminate duplicate sales rows, and just list each person only once. To do this, use the DISTINCT keyword. In this example, since everyone has sold an item, we will get a listing of all of the owners, in alphabetical order by last name. For future reference (and in case anyone asks), this type of join is considered to be in the category of inner joins. In this section, we will talk about Aliases, In and the use of sub queries, and how these can be used in a 3-table example. Five important aggregate functions: SUM, AVG, MAX, MIN, and COUNT. Aggregate functions summarize the results of a query, rather than listing all of the rows. In SQL, you might (check your DBA) have access to create views for yourself. What a view does is to allow you to assign the results of a query to a new, personal table, that you can use in other queries, where this new table is given the view name in your FROM clause. When you access a view, the query that is defined in your view creation statement is performed (generally), and the results of that query look just like another table in the query that you wrote invoking the view. This query shows all SellerID’s from the Antiques table where the Item in that table happens to appear in the Antview view, which is just all of the Items Desired in the Orders table. The listing is generated by going through the Antique Items one-by-one until there’s a match with the Antview view. Views can be used to restrict database access, as well as, in this case, simplify a complex query. This statement gives the table name and tells the DBMS about each column in the table. This inserts the data into the table, as a new row, column-by-column, in the pre-defined order. Indexes allow a DBMS to access data quicker (please note: this feature is nonstandard/not available on all systems). The system creates this internal data structure (the index) which causes selection of rows, when the selection is based on indexed columns, to occur faster. This index tells the DBMS where a certain row is in the table given an indexed-column value, much like a book index tells you what page a given word appears. Another common usage of sub queries involves the use of operators to allow a Where condition to include the Select output of a sub query. The subquery returns a list of buyers, and the Last Name is printed for an Antique Owner if and only if the Owner’s ID appears in the subquery list (sometimes called a candidate list). Note: on some DBMS’s, equals can be used instead of IN, but for clarity’s sake, since a set is returned from the subquery, IN is the better choice. when you have a sub query as part of a WHERE condition, the Select clause in the sub query must have columns that match in number and type to those in the Where clause of the outer query. In other words, if you have “WHERE ColumnName = (SELECT…);”, the Select must have only one column in it, to match the ColumnName in the outer Where clause, and they must match in type (both being integers, both being character strings, etc.). If there are any Chairs in the Antiques column, the subquery would return a row or rows, making the EXISTS clause true, causing SQL to list the Antique Owners. If there had been no Chairs, no rows would have been returned by the outside query. This will return the largest priced item (or more than one item if there is a tie), and its buyer. The sub query returns a list of all Prices in the Antiques table, and the outer query goes through each row of the Antiques table, and if its Price is greater than or equal to every (or ALL) Prices in the list, it is listed, giving the highest priced Item. The reason “=” must be used is that the highest priced item will be equal to the highest price on the list, because this Item is in the Price list.